Transline provides access platforms for utility and process tank manual operations and maintenance. The platform follows all standard safety fitments like toe guard, hand rails and step ladders for differential heights. 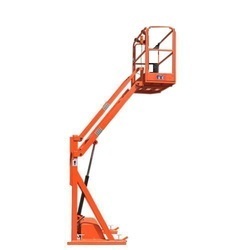 Battery Driven Hydraulic Access Tower or Lineman's Tower Ladder: This is new product introduce by us in trade for first time"save on the cost of vehicle and manpower. 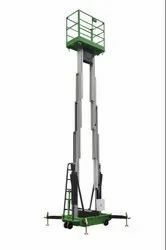 We have manufactured a new range of lineman's hydraulically operated access towers (aerial platforms) mounted on battery operated. Available in 9, 10, 11 and 12 meter heights. We are offering Aerial Platform to our clients. We offer wide range of Access Work Platform.